I started this series on this blog with the post on the 5th of June 2012, when I interviewed my “bredda” (Jamaican Patois for “brother”, but also “friend” or “mate”) Abenet, who was in his late 20s (see: http://michelconci.blogspot.nl/2012/06/reggae-music-lovers-in-netherlands.html). This time – over a year after the last interview in the series – I interviewed another bredda of mine: Manjah Fyah. He is now in his mid-30s of age. 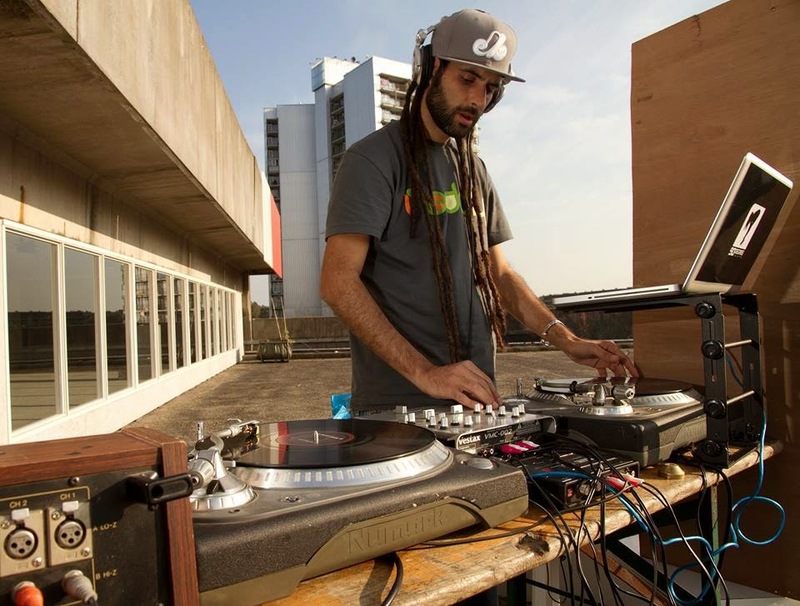 I met him years ago in the capacity of Selector (DJ) in some reggae-minded clubs in Amsterdam, first in Café Frontline in central Amsterdam, as well as elsewhere in “reggae-minded” places. He also played regularly in the important reggae-minded club Café The Zen in Amsterdam (east side). I soon found out he was Italian (Sicilian to be precise). His song selection when he was DJ was – I recall - quite varied within the reggae realm: from Beres Hammond to New Roots to Dancehall to older Roots. This is practically all I knew about him, so now I asked him some specific questions, especially in relation to his love for reggae. This I will then compare to the other two people I have interviewed before for my blog on reggae (Abenet and Bill), and with myself.. Whereas for the interviews with Abenet and Bill I chose the indirect tense to represent the answers they gave me, for this interview I have chosen the direct tense: i.e. literally how he (Manjah Fyah) answered my questions, with his formulations (he did this in writing, by the way). Okay..here and there I corrected some mistakes in his English.. but furthermore it is literal. 1. You are from Sicily. Since when/what age (or year) do you reside in the Netherlands? I’ve been living in The Netherlands since October 2007; I left Sicily in 2003, since than I lived in different countries across Europe and before moving to the Netherlands I was living in Dublin, Ireland. I was 29 years old when I moved to Amsterdam. I started listening to Reggae music when I was a teenager, like 16 years old. My first Reggae “music cassette” was from a local Sicilian band called “Calura Posse” and I’ve got stuck with it… I still play sometimes Calura Posse inna di dance, especially in Sicily. My first CD was a present by my Mother…Peter Tosh “Legalize it”...and it also stuck with me …. Actually since then I’ve been stuck. During my University years I went deeper into the Sound System scene, Jamaican artists and culture, understanding Reggae from day one till now. 3. Was there a reggae scene back then in Sicily? Sicilian Reggae back in the days was defined by very few local Reggae bands, singing mostly in Sicilian dialect, and there was not a sound system scene yet. Within a few years the scene grew big! Nowadays the Sicilian scene itself is much bigger than the Netherland scene in comparison of number of sound system and regular dances. The island lacks (of) big live concerts though, something that here in The Netherlands is not an issue. Definitely the bass! The sound of the bass coming out from that wall of speakers….maaad! Also as a ganjaman this music makes me meditate and match my spirit and soul. Love the guitar skanking! Before Reggae music I listened and still listen to Rap and Hip Hop; that marked the start in my music life journey. Public Enemy, Run DMC, De La Soul, Cypress Hill, Company Flow etc etc. Heavy metal/trash, tekno and drum n’ bass were just short chapters of my life. 6. Has your music preference changed since then? Not really, I’ve maybe just gone deeper in the genres and making quality really a must for what I hear and also play. Listening, traveling and meeting almost constantly new people contributes to getting to know new genres and styles although I keep my music preferences solid. I try to keep myself away from all what I consider negative in the music I promote, something that nowadays can be considered a job. Since 2001 I went to every dance everywhere I was, if the possibility was there. After a few years I started to “play” with the laptop and in 2004 I decided to become a selector and I bought 2 Technics turntables, a mixer and 2 speakers… put them in my back yard shed and Jah know the hours I spent in that blessed shed! Since then I neva stopped! 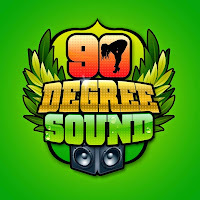 In 2006 I joined 90 Degree Sound System. Sometimes I listen more to modern roots, sometimes I listen more to dancehall, sometimes I listen more to roots. It really changes from time to time, like phases. It’s like if you have a collection of cars and sometimes you prefer to ride one instead of another, without any specific reason. Now I’m in the phase of digital Reggae…Biltmore Era. 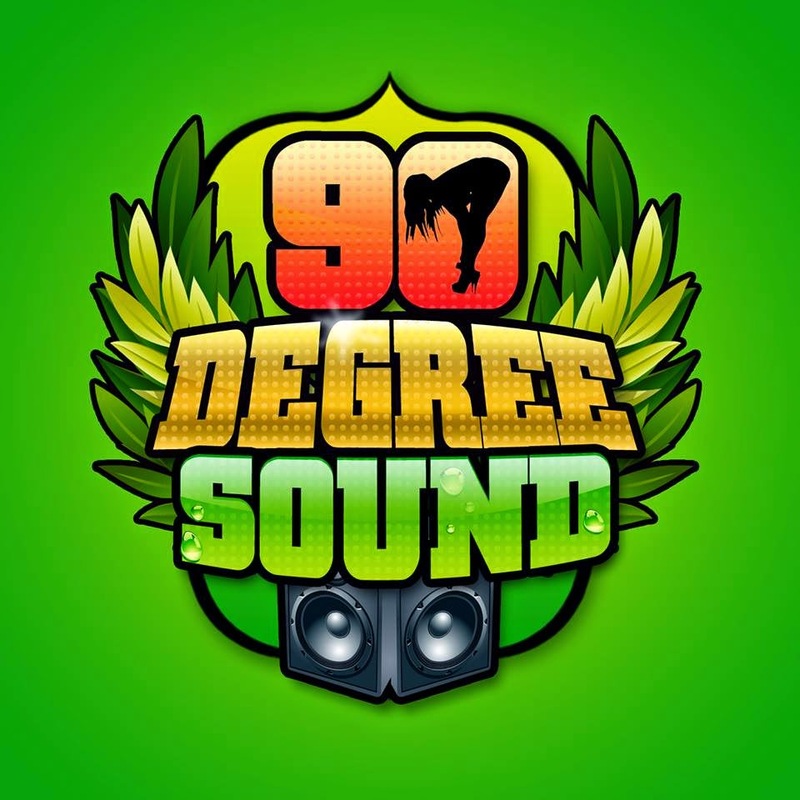 Live I play all Jamaican Reggae and dancehall genres from early, up to the time…you might also catch in what phase I’m in… Besides my genres preferences, I’m dubplate addicted. 9. Do you play musical instruments? Percussion(s). I was playing percussions before I even started to listen to Reggae music; I really like the deep sound of the bass, especially in the djembe, that was what attracted me to percussions and, possibly led me to Reggae, dunno. 10. Does the Rastafari message within (much) reggae appeal to you? How does this relate to your background, and your own spirituality? My religious background is represented by a typical western youth growth in a Christian religious society and system. With the music I discovered Rastafarianism as a good and positive spiritual way of living. My trip to Jamaica and especially to Ethiopia was very intense and helped me better understand Rastafari. 11. What kind of music (reggae or otherwise) do you listen to at the moment/right now? What specific artists? Any new musical “discoveries” you would like to mention or recommend? Trip Hop is one of my favorites right now after Reggae and Hip Hop. Especially trip hop from Bristol like Portished, Massive Attack, Tricky etc etc. For the rest I listen to lots of Reggae dancehall sound clashes audio and mixtapes. 12. Any other things you want to mention? I wanna big up yourself Ras Michel, give thanks for the interview. I wanna big up all Massive and Crews worldwide, give thanks every time for the love and affection!! Stay linked, on http://www.90record.com, and get ready for the next dance! Respect n manners. From this I can deduce that Manjah Fyah is about 5 years younger than me (now in his mid-30s), but he is still a bit older than the other two reggae lovers I interviewed before (Abenet in his late 20s, Bill in his late 10s). The most interesting parallel between all 3 reggae lovers I interviewed is that independently from each other they pointed at their preference for “positivity” in the (reggae) music, while they lament the “negativity” in part of the music and lyrics: read: the “slackness” and violent lyrics found in some dancehall (and some hip-hop) lyrics. They appreciated the “conscious”, uplifting Rastafari message as a positive contribution, and I heard the two selectors (Bill and Manjah Fyah) indeed play mostly Conscious reggae (lyrics-wise) at dances I went to, though with some variation with slack or “party” lyrics. A bit more than Bill, Manjah Fyah also plays Lovers Rock, I noticed, alongside (New) Roots. Then there were differences of course as well. Their music taste within reggae was similar, but with some differences. Interesting, but explainable because each individual is different. Though I also believe that some music or some songs are so beautiful that they will appeal to a variety of individuals. Both Bill and Manjah Fyah were/are DJs (“Selectors” in Jamaican parlance) and listen to – and play – a broad variety of Old and New Reggae at dances. Bill likes Dub or Steppers relatively more I think, and Manjah Fyah in turn tends in “phases” more to Digital Dancehall. Interestingly, both also like some modern British (partly reggae-influenced) music. With differences, though: Bill mentioned Dubstep, Manjah Fyah Trip-Hop. Both (Bill and Manjah Fyah) were initially also attracted to the strong/relatively heavy Bass in reggae music. So a Dutch and a Sicilian guy can have things in common, haha. Another thing they have in common, is that they like(d) to listen also to some hip-hop alongside reggae (and other genres). Abenet, who has an Ethiopian background, was not active as a reggae Selector/DJ, and perhaps therefore delved less deep in the variety in reggae, and has a broader musical taste, but in this Roots Reggae (e.g. Morgan Heritage) is still important, as the interview with him showed. That reggae has truly gone international is another interesting aspect I got from these interviews. Sicily, the Netherlands, and Ethiopia have all got reggae scenes, with some different accents. Sicily is still one of the poorest regions of Italy: more rural and marginal as well. Some prejudiced Northern Italians tend to call all (poorer) Southern Italians “terroni” (meaning something like: peasants or farmers), in a derogatory manner. This caused even some frictions among visitors of the clubs for Italian migrants in the Netherlands that my father (who is from Northern Italy) regularly visited. Similar to Spain, Jamaican reggae artists often select a few big cities to perform in: in Italy mostly Milan, Turin, and Rome, and in Spain at least Madrid and Barcelona (occasionally another bigger city or festival): but in other, more rural places reggae has also fans. Manjah Fyah even said that the sound system scene is now probably bigger in Sicily than in the Netherlands. Similarly, I heard about a recently increased number of sound systems in the poorer, more rural South of Spain, e.g. Andalusia, or - even more outside of the tourist areas - in the rural province of Badajoz (region Extremadura), where my mother was born. Reggae spreads out, haha. This says something about the spread of reggae not just internationally, but also beyond just modern, urban or internationalized centers in countries.. I found interesting how Manjah Fyah talks about “phases”, while also Bill had “periods” with a specific (dominant) musical focus. I myself do not really have or have had this in my life, I think. For over 25 years (!) now I prefer to listen to Roots Reggae, but interchange this recently more with Dancehall..just for variety sake. I prefer then the Dancehall I find of better rhythmic or lyrical quality (for instance Capleton, some songs by Ward 21, Demarco, the “groovier” digital riddims, so to speak..), but after this I soon return to Old and New Roots.. I have some things in common with them though, in that I also got to like some hip-hop when I was about 15 years (Public Enemy, De La Soul, Slick Rick, LL Cool J, Poor Righteous Teachers, BDP), but I listened to reggae then as well. I sometimes interchange(d) reggae also with African music – I still do -, or Afro-Cuban music, but these were not (or just partly) “phases”. In practicing my percussion and drumming I sometimes now return to some Afro-Cuban rhythms at times, as well as to “new” rhythms from Africa itself.. I also liked soul and funk. As a child – before I got to know reggae – I liked Stevie Wonder for instance, and later some songs by James Brown or Curtis Mayfield. But in my case hip-hop followed after reggae, which says something about how I experience reggae, I think. Hip-hop fans who in a later stage turn to reggae have a different focus than myself, I imagine: more toward dancehall. They initially seem to search for “hip-hop like” reggae/dancehall. 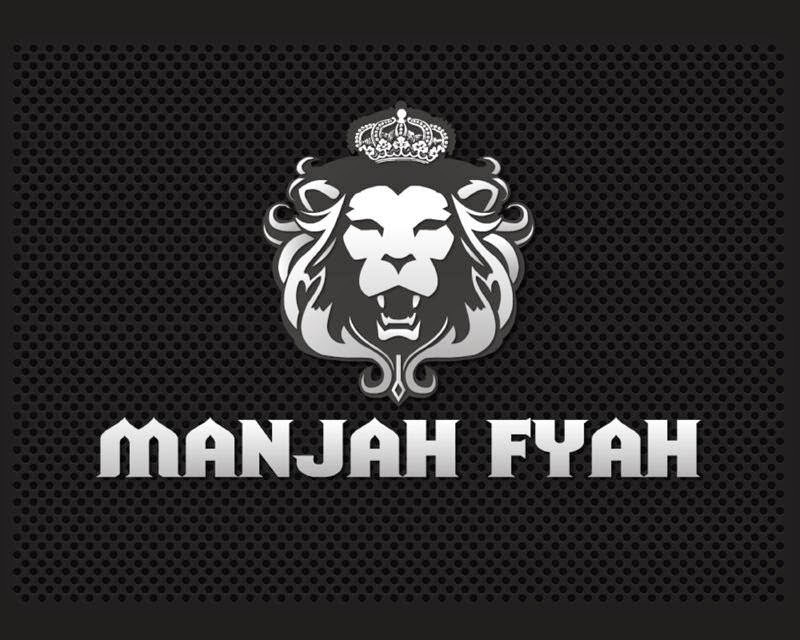 Manjah Fyah also mentions him being a “ganja man”. I presume he means he uses ganja (marijuana): in Jamaica it can also refer to someone selling it (like “collie man”). The connection between ganja and reggae music is almost a cliché, and a recent interview by Bill Maher on US television (HBO), with Ziggy Marley, confirmed the existence of this image (or stereotype, if you will). Manjah Fyah points out that in some way ganja matches the vibe he experiences from reggae music, which is understandable, I think (many others have that too, of course). Selectah Ill Bill neither makes a secret of his ganja/marijuana use. Yet, in my case, I learned to love reggae music – and got into it – years before I smoked or even got near ganja or marijuana. So it is not a prerequisite, haha. Both Bill and Manjah Fyah mentioned the (heavy) Bass which drew them (among other things) into reggae. In my case this is also a bit different, if I remember well. From the first time I listened to reggae – since when I was about 10 years old - I mostly recall that I focused not just on the bass, but was also intrigued by drum patterns and harmony vocals. And lyrics of course..
Manjah Fyah said that he learned more about Rastafari through his travels to Jamaica and Ethiopia. I also went to Jamaica a few times. I mostly socialized and “hung” with people connected to Buju Banton’s Gargamel studio in Kingston, but traveled also throughout the island. In my case I thus learned more about “the function” of Rastafari for poor, Black people. I have read about the origins of Rastafari (Leonard Howell, Marcus Garvey) within Jamaica. In practice, beyond just theory, I also noticed how in Jamaica Rastafari functioned as positive alternative (there is the word “positive” again) to self-disdain or a life of crime, which result in a parasitic, negative lifestyle. Through contacts and friendships – and getting to know people better - I learned how Rastafari provided individuals a mental way out of this, even if with different degrees of strictness: not all who called themselves Rastas were as strict with diets (some kept eating regularly Jerk Chicken or Curry Goat and such), but that variety is also there within and between different Rastafari mansions. Besides this there were some who called themselves Rastas but were not really, and only pretended to be (or were even criminals), but I am referring to those who at least tried to live a righteous and truthful live. 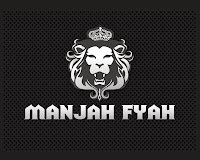 Manjah Fyah also went to Ethiopia, and I have not been there yet. So he must have learned during those travels about the Rastafari adherents’ promised land. The first person I interviewed on my blog, Abenet, was from Ethiopia, and even lived there later again for a year, so he learned probably more about the deeper cultural layers and connections. Finally an interesting parallel is in percussion. I did not know Manjah Fyah played percussion earlier in his life (the djembe drum he specifically mentioned). In the present "phase" of my life I am very busy and active with percussion: I started a few years ago with bongos, now other drums as well (djembe, talking drum, dundun, fundeh, kete a.o.). This is partly connected to how I listen to reggae, and my interest in drums, just like Manjah Fyah presumed (see his answers) that his love for percussion influenced his love for reggae. He mentioned, however, the “bass” in Djembe drumming – especially with tones in the middle area of the drum hide -, while my interest in reggae started out broader than just the heavy bass (as I already said). Bill also played – and plays – musical instruments, but more chording instruments: guitar, melodica.. though he also was interested in e.g. Nyahbinghi drumming..
All in all, I am glad I got to know somewhat more about Manjah Fyah and his love for reggae, and how it developed..